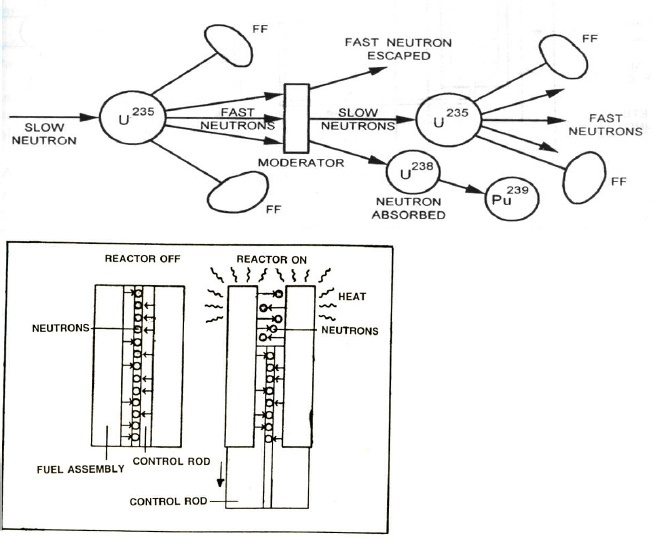 In this reactor, enriched uranium (enriched uranium contains morefissionable isotope U 235 than the naturally occurring percentage 0.7% asnuclear fuel and water is used as coolant. Water enters the reactor at thebottom. It takes up the heat generated due to the fission of fuel and gasconverted into steam. 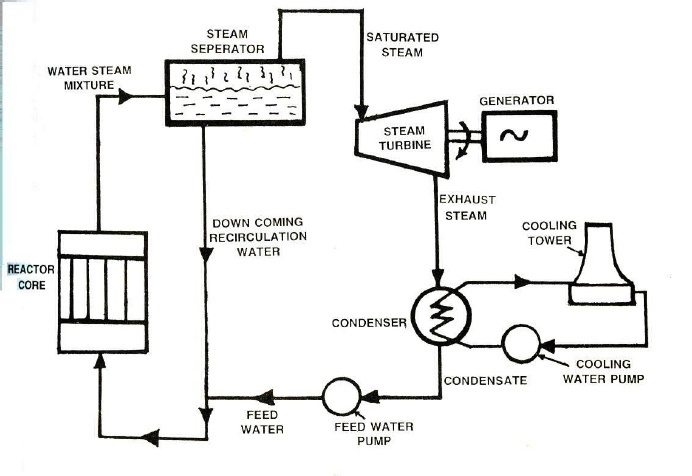 Steam leaves the reactor at the top and flows into theturbine. Water also serves as moderator. India’s first nuclear power plant at Tarapur has two reactors (each of 200 MW capacity) of boiling water reactortype.